The Coastal Comedy Show headlined by The Noise Next Door! Home > Whats On > The Coastal Comedy Show headlined by The Noise Next Door! As seen on Live at the Palladium and many more! The UK’s premier improv comedy troupe have taken the comedy world by storm. 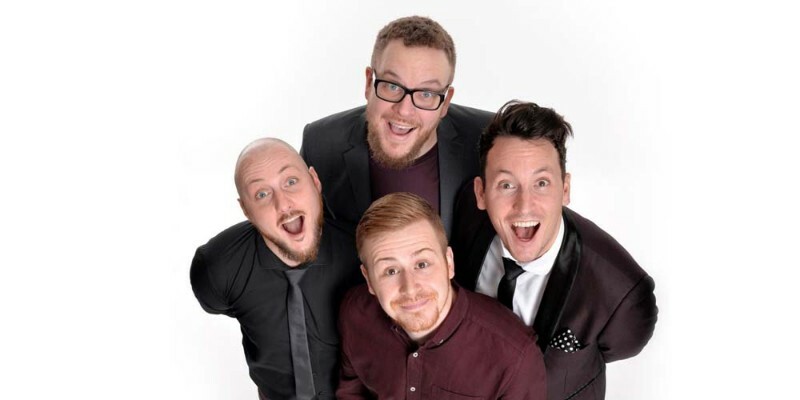 The Noise Next Door have appeared on BBC One, BBC Three, ITV1, BBC Radio 1 and BBC Radio 4, they were nominated for a Chortle Award in 2014, and have performed alongside the likes of Michael McIntyre, Al Murray, and Harry Hill. Plus top support from Maureen Younger who is performing in the best comedy clubs up and down the country. Also performing for your laughing pleasure the incredible Rick Kiesewetter. Rick’s ingenious observational material includes anything from adoption to being a Londoner.